NEW YORK (Reuters) – Oil rose to its highest level in a week on Tuesday, buoyed by the prospect of U.S. sanctions on Iran, though the trade dispute between Washington and Beijing kept traders and analysts cautious. Oil futures extended gains in post-settlement trade after data from industry group the American Petroleum Institute showed that U.S. crude stockpiles fell 5.2 million barrels last week, more than three times analysts’ forecasts, as imports fell and refinery runs rose. Official data is due on Wednesday at 10:30 a.m. EDT. U.S. West Texas Intermediate crude futures for October delivery, the most active contract, rose 42 cents to settle at $65.84 a barrel. The September contract expired on Tuesday and settled 92 cents higher to $67.35 a barrel. September WTI’s premium to the October contract CLU8-V8 widened to as much as $1.69 a barrel on Tuesday, after narrowing since the beginning of August. It last marked $1.50 a barrel. Strength in the spread caught many traders by surprise as September is typically seen as a month when inventories start to rise as refineries begin planned maintenance activities. The front-month spread widened significantly in July after an unexpected outage at Canada’s oil sands facility dented flows of crude into Cushing, Oklahoma, the delivery point for U.S. futures. Brent crude futures for October delivery rose 42 cents to settle at $72.63 a barrel. The global benchmark earlier hit $72.95 a barrel, the highest level since Aug. 14. The Syncrude facility has since begun ramping up light oil production, which surprised market participants because it was earlier than expected and caused them to short the market, said Bob Yawger, director of futures at Mizuho Americas. Oil prices have gained in the last two sessions following weeks of declines on the prospect of lower oil supply from Iran. The United States is trying to halt Iranian oil exports in an effort to force Tehran to negotiate a new nuclear agreement and to curb its influence in the Middle East. However, the full impact of the Iran sanctions are unclear. While most of Europe’s energy firms are likely to fall in line with Washington, China has indicated that it will continue to buy Iranian oil. BNP Paribas said it expected oil production from the Organization of the Petroleum Exporting Countries, of which Iran is a member, to fall from an average of 32.1 million barrels per day in 2018 to 31.7 million in 2019. However, oil exports from southern Iraq are on course to hit another record high this month, two industry sources said, adding to signs that OPEC’s second-largest producer is following through on the group’s agreement to raise output. 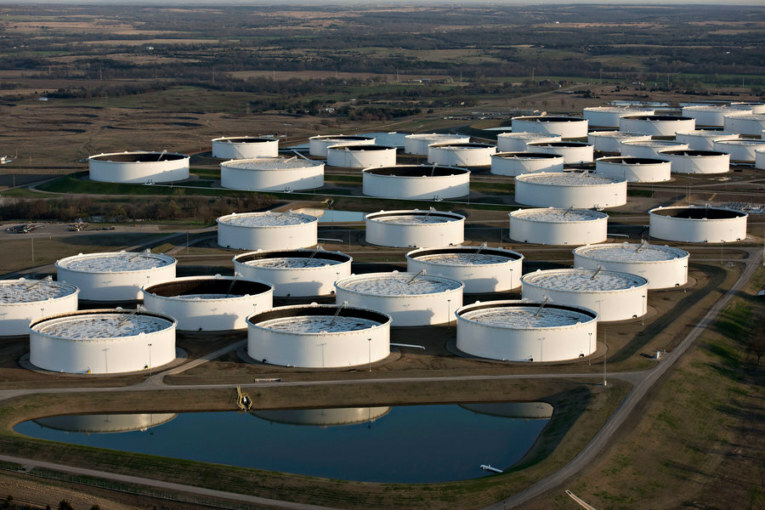 Washington on Monday offered 11 million barrels of sour crude from its Strategic Petroleum Reserve for delivery from Oct. 1 to Nov. 30. The released oil could offset expected supply shortfalls from the sanctions against Iran. The market also continued to eye the U.S.-China trade dispute, which threatens to undermine global growth and, therefore, consumption of industrial commodities.